Every season I fall in love with a pair of shoes and I tend to wear them over and over and over again. I love shoes and I really try to wear every pair I buy but I tend to overuse and abuse one pair in particular every season. Does that ever happen to you? 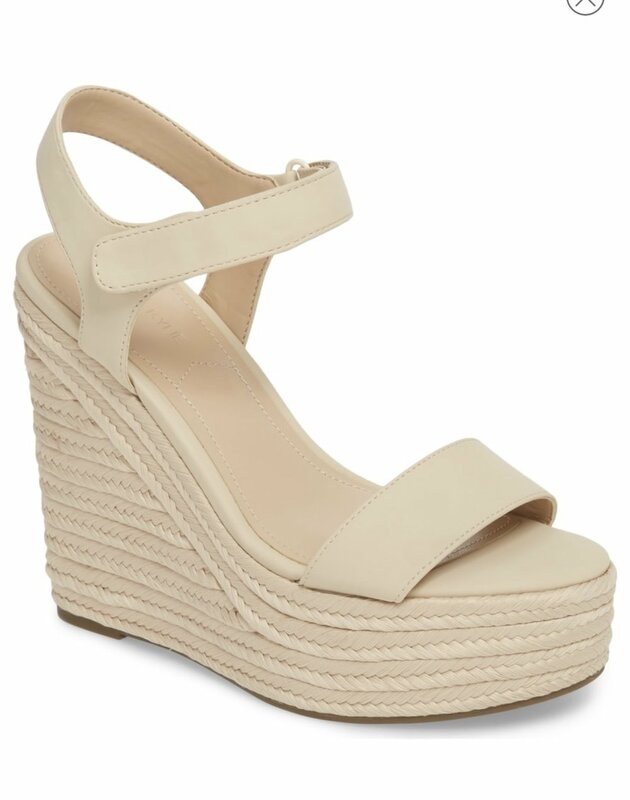 This past summer these Steve Madden wedges were the ones I wanted to wear the most. I gotta admit these weren’t the most comfortable, but they were definitely the ones I gravitated towards the most. They are good to wear only for a limited time, for example for lunch or dinner but not for walking or wearing them more than only a few hours, otherwise they will hurt your feet. You may be wondering, “Why are you sharing them if they weren’t comfortable?”. I am sharing them because I love the style and they were one of the very few shoes in this style that actually fit me correctly. I have a very thin foot and I have a really hard time finding strap shoes/heels/wedges that fit me. When I got these, I loved them and knew I could wear them with lots of outfits, which was indeed the case. Once I realized I could only wear them for a few hours I tried making the most of them because I was not going to throw them away since they were a gift from a very special person. So, I thought I would still share the different ways I styled them here but also share very similar options you can try. Maybe you love the style to but instead of buying the same ones I bought you can buy a similar option that is hopefully a lot more comfortable. The wedges are from Steve Madden you can find them here.